December 09, 2017 "Information Clearing House" - The Islamic State in Syrian and Iraq is officially defeated. The UN resolution which allowed other countries to fight ISIS within Syria and Iraq no longer applies. But the U.S. military, despite the lack of any legal basis, wants to continue its occupation of Syria's north-east. The attempt to do so will fail. 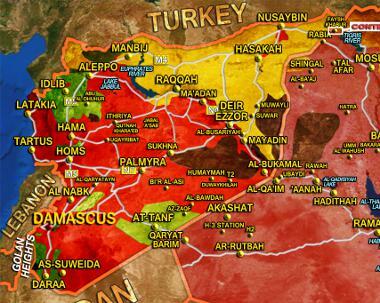 Its Kurdish allies in the area are already moving away from it and now prefer Russian protection. Guerrilla forces to fight the U.S. "presence" are being formed. The U.S. plan is shortsighted and stupid. If the U.S. insists on staying there many of its soldiers will die.